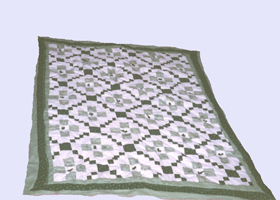 It is easy to custom design a quilt for your own home. Browse through the selections below to see some examples of past creations from Imagic Place. 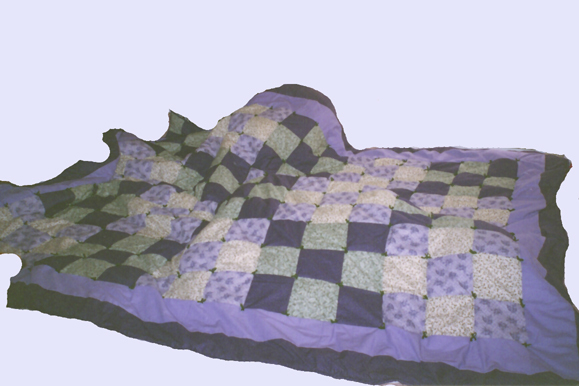 It is as easy as selecting colors and a pattern and you can have your own custom quilt in as short a time period as three weeks. Of course, you can email us color swatches or even pictures of your bedroom, living room or family room and we can email you a quote with an example of what your finished quilt would look like.